British Petroleum, or BP, is a global oil and gas company that trades energy and resources to countries worldwide. They also manufacture raw materials and fuel used in everyday items such as cars, computers, and food packaging. William D’Arcy got permission to explore Iran (previously known as Persia) for oil resources back in 1908. 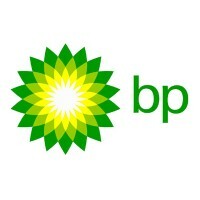 This discovery led to the Anglo-Persian Oil Company which changed its name to BP PLC on May 1, 2001. In the last 110 years, BP managed to expand to over 18,000 service chains in 72 countries. It currently employs over 74,500 staff members for their operations and delivers 3.6 million barrels of oil every day. Eligible employees have access to healthcare, life insurance, retirement plans, and paid leaves. The company also has an extensive learning course, both online and onsite to help further advance an employee’s career. BP cultivates a culture where everybody respects each other and brings new ideas, and innovation to the table. People work in an environment where values and diversity are treated with significance. How old do you have to be to work at BP? The company does want candidates to be at least 18 years and older to apply for a job vacancy. However, they also offer school leaves, students, and graduate programs for individuals who qualify for such. There are various areas of interest one can apply for, this includes entry-level positions such as business support, downstream, and customer services. These careers are available in stores around the world and need employees from time to time. Sales Specialist: This employee has to maximize sales opportunities of brand lubricants and oil products. Sales specialists find new business prospects and opportunities that favor the profit targets of the store. They maintain and update customer relationship management systems that replicate clients’ info and records. Digital Activation Specialist: The key role of the digital specialist is to improve supplier and manufacturer relationships by managing web learning portals and planning digital marketing programs. They create and publish content relevant to the business and target audience with various digital platforms. They monitor the effectiveness of their marketing strategy and change them to ensure the sales value of the company. Personal Assistant: A personal assistant delivers administrative support which includes writing memos, arranging travel, booking venues, and more. They assist in creating meeting presentations, agendas, and logistics support. Personal assistants also handle phone calls, photocopies, and faxing requirements of the executive officer. Purchasing Manager: They manage internal and external purchasing activities relating to the company. The purchasing manager works with local legislation to oversee importation and transportation of products materials that are high-risk agents. Also, these employees assist tax auditors for duty approval and gather imported products for allowed testing. Pensions Administrator: This person performs administrative tasks under the BP Pension Fund and processes work requests in a timely manner. They organize pension arrangements for individuals while maintaining strict privacy with that person’s information. Other than that, they do other ad hoc tasks requested by the manager. Continuous Improvement Specialist: They work with the management in planning agenda, deployment, and resource plan to boost productivity and sales. These employees also facilitate application of improvement procedures target business departments to enhance work progress. Continuous improvement specialists assist in the training of assigned teams. Loss Prevention Officer: Their job is to prevent theft and fraudulent activities by reporting and providing insight into suspicious actions. Loss prevention officers proactively mitigate the experience by recommending suitable programs and company procedures. They are often seen roaming in stores and keep a clear eye on suspicious individuals. Key Accounts Sales: They manage safety, credit, and risks between the products and the consumers. This employee leads the process of product checking product pre-delivery inspection to avoid risks and environmental damages. They are shown to have clarity and accountability for their actions and understand supply and strategic pricing of products. Demand Manager: These people manage work with analysts when it comes to achieving the company’s targeted performance by facilitating monthly market reports. They are good in forecasting market trends and identify elements that improve the economic demand and supply applications. Trainee Technician: These employees manage the maintenance of equipment and machinery in line with the company’s safety standards. Troubleshoot and identify faulty technicalities and report them to the manager. Also, technicians follow safety and environmental procedures and must respond to all technical emergencies. Individuals must complete all application documents before submitting it to the store’s HR Department. One must also dress appropriately when submitting his or her letter of intentions as employers might do an on-the-spot interview. Job hopefuls can also apply online on the company’s website and on third-party job placement boards. For this, they must first create an online profile page for the company to view, as well as upload their cover letters and resumes. When applying online, candidates must fill all blank fields with necessary details pertaining to the job description. They should also always double check grammar and information accuracy before hitting the button. In writing resumes, try to discard the objective statement and use a summary stating who you are and what you can offer to the company. Try to describe your related skills and job history instead. If you’re invited for an interview, conduct research about the company to get to know your employers better. Review common questions the interviewer will ask and try to arrive on time for the meeting. The company fosters innovation by exploring new ideas and ways of working together for excellence. Since everyone is in a hazardous business, they encourage high safety and health procedures by upholding quality outcomes in a disciplined matter. BP will celebrate its 110th year and see to the usage of more renewable resources. They’ve collated from research that renewable energy has grown 400% in demand and consumption worldwide. The company trades oil products and manufactures raw materials used in everyday commodities. They track fuel from sea, desserts, and research centers to energy around the world. BP acts to lower carbon footprints with the use of renewable energy. And, since they focus on oil and chemical trading, they focus on safe operations that will do no damage to human’s health and the environment. 1 How old do you have to be to work at BP?